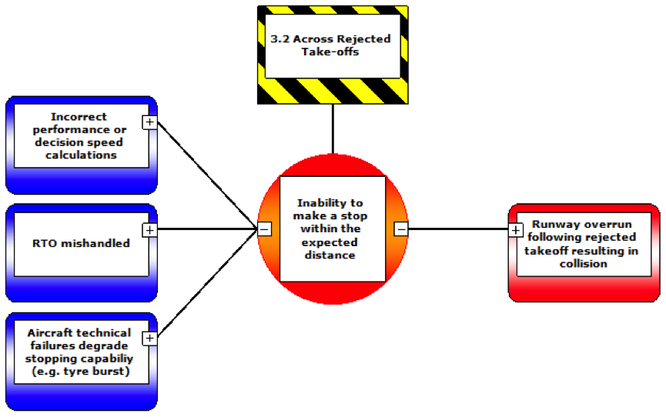 When we create a BowTie, we nominate Threats, a Top Event and Consequences in a scenario based description of events. If we look at one of these lines (i.e. from a Threat to a Consequence) we can see that we are nominating three events. We are selecting these based on what is of greatest interest to us for that particular risk assessment. 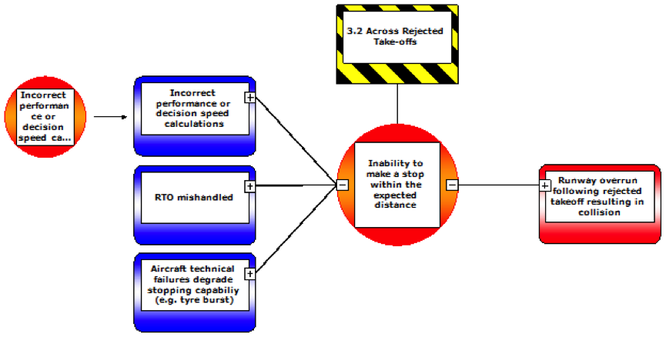 For example, lets have a look at a BowTie from the Across ‘BowTie Complete’ series, this one being about Rejected take-offs (RTOs). 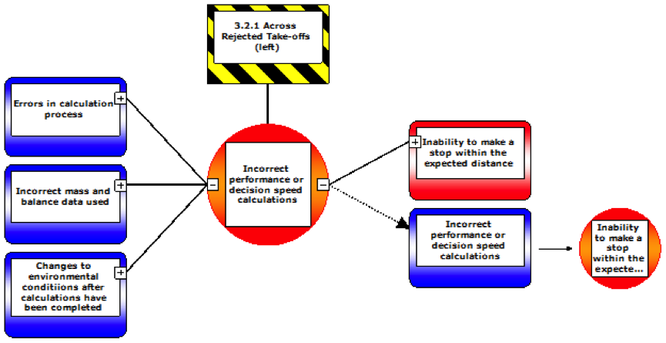 That BowTie is all well and good but let’s say we wanted to perform a more detailed analysis of the underlying factors related to Threat 1 ’Incorrect performance or decision speed calculations’. Now we would be shifting our focus to the left and we could create a BowTie where we considered the incorrect calculations to be the Top Event. The diagram below shows a sample of how this would look. 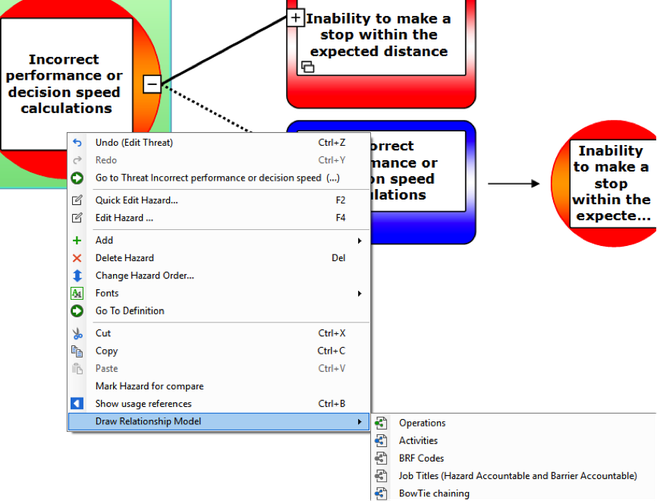 The two diagrams are clearly related and BowTieXP Advanced software gives us quite a nice tool for depicting that relationship, called BowTie Chaining. It let’s us visualise the relationships between BowTies in a very intuitive way. 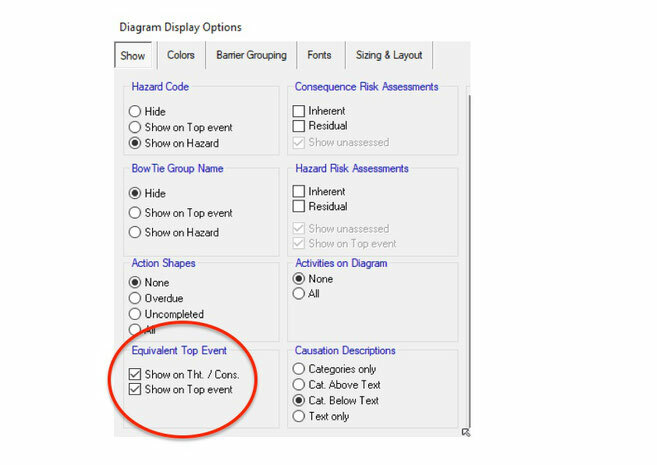 We can also use the Equivalent Top Event diagram object to navigate from one BowTie to the other using the green arrow icon that appears when we hover the mouse over it. · Now we go to the Equivalent Top Event option and from the dropdown list, we select the Top Event we want (the same thing applies to Consequences if we were linking a BowTie to the right hand side of the main BowTie). · That’s all there is to it, we have now established the link and we can select various display options to show it. 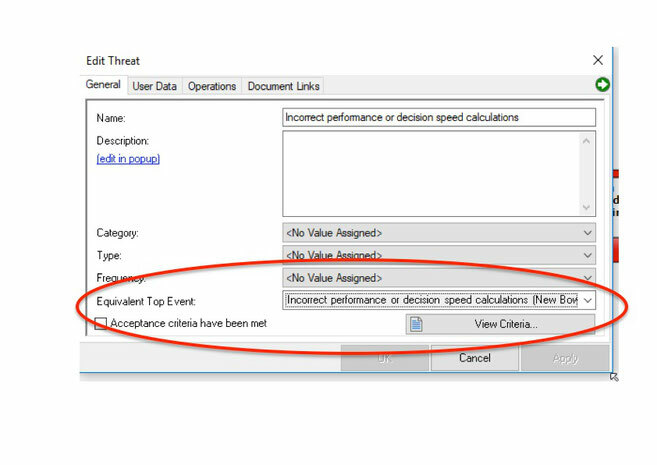 To display the relationship we go to the main display options screen and find the appropriate tick boxes for Equivalent Top Event (bottom left). We also have the option to create a Relationship Diagram (below), which effectively depicts the basic structure of the BowTies and their related elements in one place. 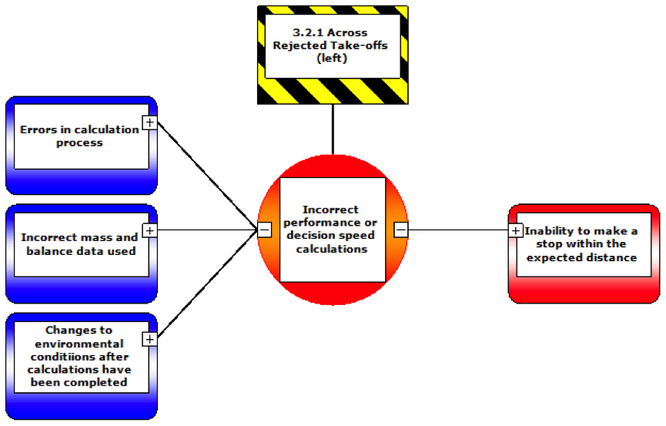 · You will see a new window opens to show this new kind of diagram. There are a few options here to experiment with as well which will give you some alternate ways to view the relationship.